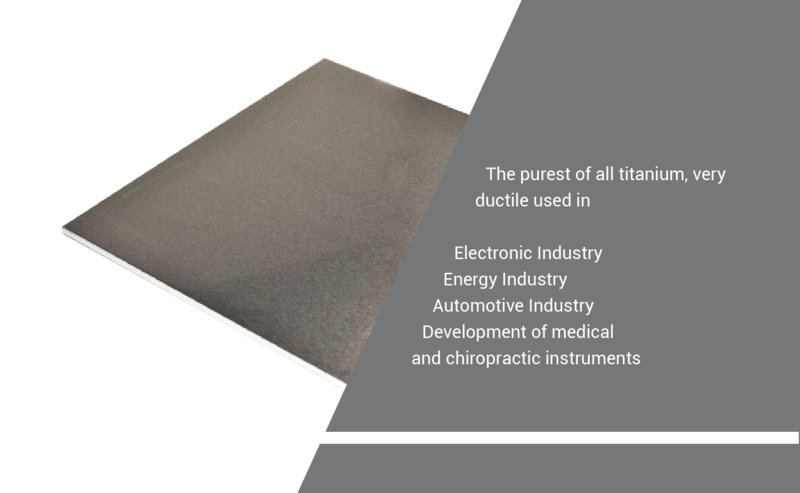 Low mechanical resistance, soft, the purest of all titanium, very ductile and easy cold formability. - Development of medical and chiropractic instruments. Grade 3 titanium is stronger than the grade 1 and 2, similar in ductility, it has greater mechanical and is slightly less formable. Slightly higher strength than titanium gr. 2. Similar corrosive resistant. Good weldability and cold formability. - Equipment for processing chemicals.